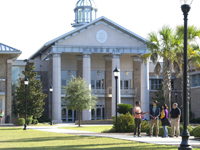 Beaufort County boasts a number of different public and private school options. The Beaufort County School District provides a high-quality education in an area defined by cultural diversity. More than 19,000 children attend 30 different Beaufort County Schools. There are also many top-rated private schools and universities located in the area.